Few years back, children are studied using pencils, slates and books. And the day they are using Tablets and laptops instead of conventional slates and pencils are not too away. Tablet devices are going viral now a days from children to professionals. Tablet devices helps children to learn via playing games. They are studying alphabets, counting numbers, improves their mental and brain capabilities by colouring and brain refreshing games. Professionals and higher students uses tablets with calling features for the better performance. 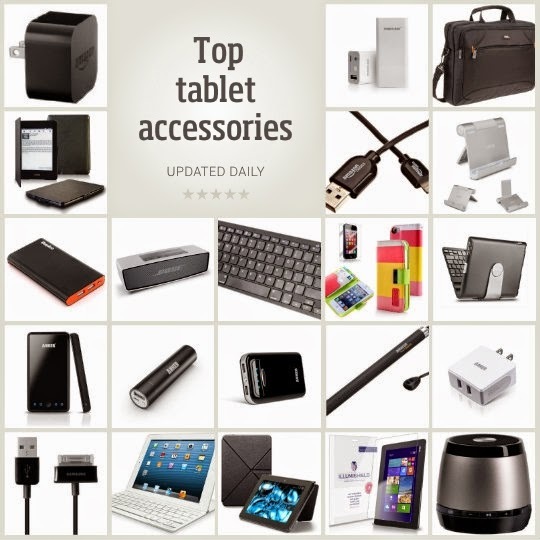 Lets meet some essential accessories for your calling tablets. Having a flip cover with built in keyboard for your tablet device is necessary as calling tablets are expensive compared to non calling devices. You could use your tablet as a mini laptop using this keyboard flip covers. Screen guard is also necessary as most of the tablets devices screen is not made up of Corning Gorilla glasses. Even if it is Corning Gorilla, pasting a screen guard is a good practise to reduce the direct finger touching to screen and to protect it from accidents. Tempered glass screen guards are good to use with. You could purchase portable storage device such as pen drive or external USB hard disc if storage capacity of your device is not enough. Purchase a Bluetooth headset within the same cart of your tablet device. As tablet devices screen is much bigger than that of mobile devices, Bluetooth devices are essential for comfortable calling if you get calls to tablet and also video calls will be an awesome experience with tablet and wireless headsets. Tablet OTG cable are useful for connecting media devices such as pen drives, Input devices like keyboard and mouse. Having portable wireless external speakers for the times you are using your tablet for entertainment. The built in speakers of your tablet may not be much powerful if you are watching movies, shows with your friends or family. Even for video calling, the sound from the tablet devices may not be enough if some people with you. Is Screen Guard Necessary for Mobile Devices?